You might remember that I spent ages planting up all the hundreds of bulbs I bought in April and May. Most of the bulbs were planted at the end of April over the long Easter weekend and made their presence known very quickly with shoots emerging and now we wait for them to flower in Spring. The few Narcissus I planted have already flowered (I admit I was underwhelmed by them, they were pretty but nothing to get terribly excited about). The Tulips I planted have not shown any signs of planning to emerge until today! 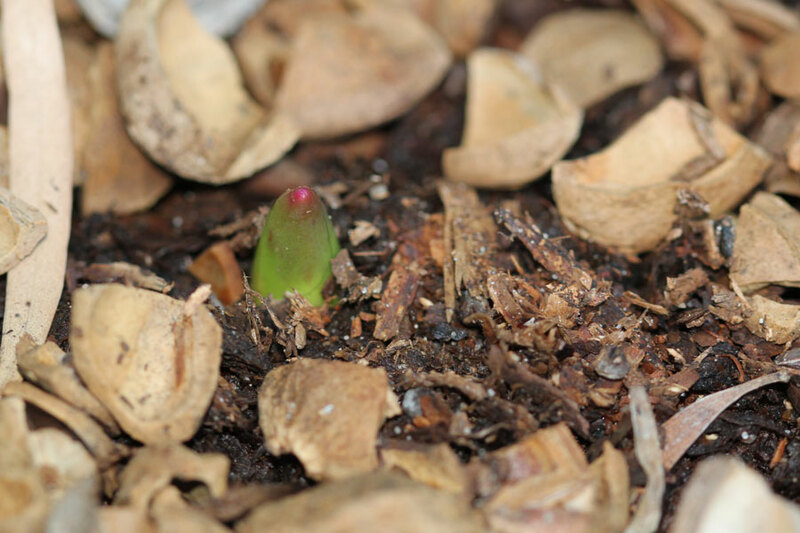 I found the first bit of life from the tulips and I’m very excited about it. The Asiatic Lilies are coming up and look very strong and healthy and at last the Daffodils are starting to come through. The Potato bush which I thought I had killed has erupted into a mass of flowers so it goes to show that moving a plant from a position where it seems unhappy to another, really pays off. Then the last bit of joy is that my Camellias are all flowering and Azaleas in pink and cerise are adding colour to my winter garden. Does Lavender flower all year long? My aunt and uncle lived in Joburg for 6 years and it was always interesting to hear about winter in the middle of our summer. Your bulbs sound wonderful! Lavender definitely doesn’t bloom year round for me (cold winters) but it might for you. 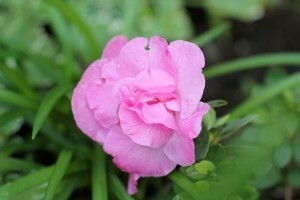 I love your camelia! I grew them when I lived in SC but they’re unreliable here. Thanks for visiting my blog! So funny to think of bulbs coming up and hankering for spring. Potato bush is a new one on me Christine. 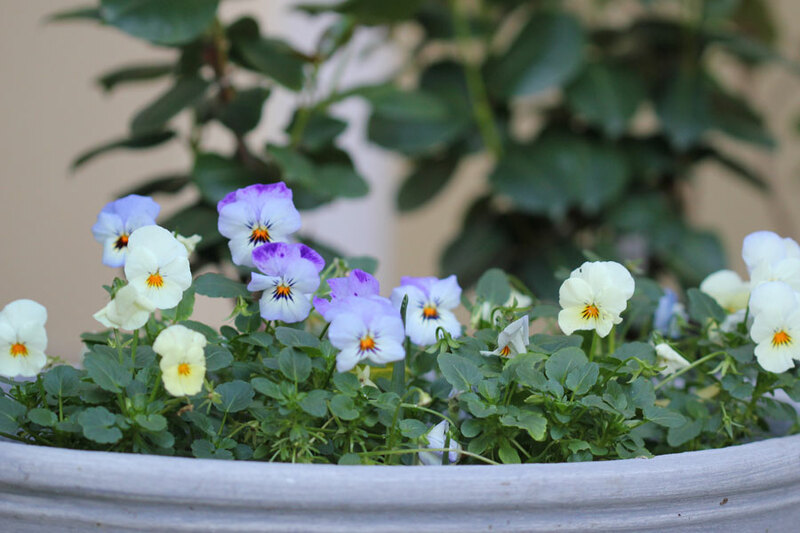 How great to have Winter plants such as the ones which you have. I remember when you planted all of these bulbs. Our Asiatic Lilies are just opening and I am looking forward to the Orientals which should open in about two weeks time. 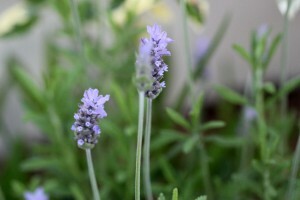 Does your Lavender really look like it is going to flower continuously. Ours flowers between July and September and not necessarily for the full three months. 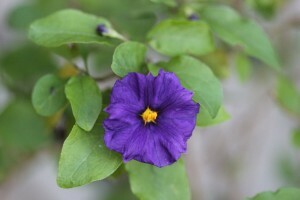 Such lovely flowers in your garden…never knew potato can give so lovely blooms! Beautiful photos! Hi Christina – Thanks, I did go back to your blog and read up about the Stipa tenuissima. I have a few, rare sunny spots and I like this so much i am trying to get hold of it. 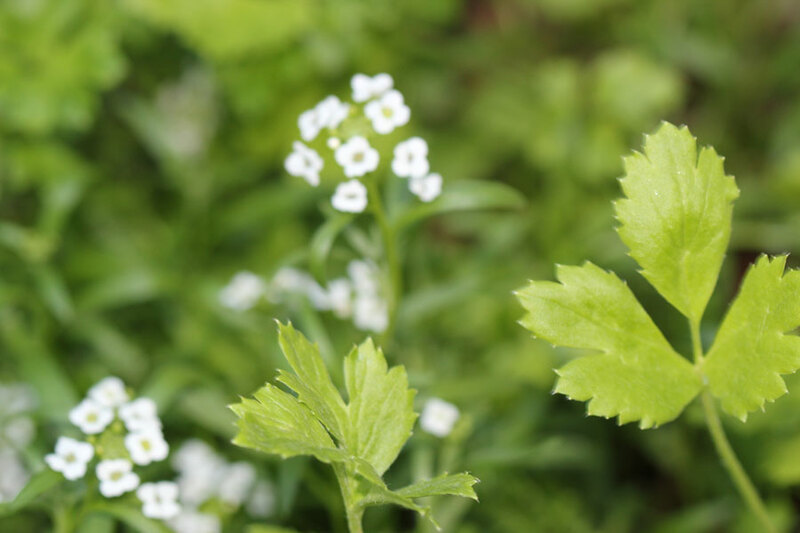 I think it is so beautiful and such a lovely contrast planting that I need to give it a try. Our spring is two months away now, but we can’t grow these lovely things here in the tropics. I will just have to be content watching your spring garden come to life. You have a lot of flowers blooming to still have two months before spring! Nice planning. It is so strange to see all the spring arrivals from here in your garden. You have a lot to look forward to pretty soon. 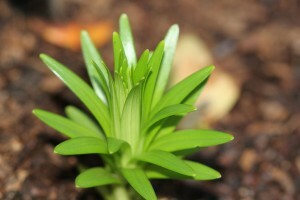 My lilies are fully mature and blooming and will be long gone when yours start to flower. It will be good to see them again, just half way around the world. You bring back memories for me of earlier this year when my own garden was awakening from winter. There is so much excitement with wakening bulbs. Your hundreds of bulbs should make for a spectacular spring. 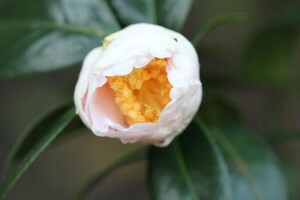 I love the white camellia! Thanks Deb! I’m really excited about spring – it will be my first Spring as a gardener! I only started gardening proplerly about 10 months ago, so I am really looking forward to see how all my new plantings perform this year.